Homemade Face Mask For Acne Treatment At Home! Almost every one of us has experienced these nasty little puss-filled monsters in our teenage years. For those with an oily skin type, the appearance of pimples and acne is nothing new. In the teenage years, they come and go like every other day. Acne marks cover the major visible parts of the face such as the cheeks, forehead, and the chin. As hard as these marks are to get rid of, it is also very difficult to deal with the irritation they sometimes cause. However, what if we told you that there are some easy and effective ways by which you can treat your acne right at your home? Well, you can easily prepare some homemade face mask for acne right in your kitchen, whenever you want. Acne usually starts to appear in the teenage years as a result of some hormonal changes that the body undergoes. They are caused when the skin produces sebum in excess. Sebum is an oil-like substance that accumulates over the skin and fills up the pores, thus causing acne and acne marks. These may also be caused due to improper digestion system or an improper diet that causes frequent breakouts and makes the skin produce excess oil. These clogged pores often turn into blackheads when they come in contact with atmospheric dust. Prolonged acne on the facial skin can even cause infection when exposed to the open atmosphere. Acne may disappear in some cases after a certain age group. However, some people report the condition getting worse even after their 20s. This is when some action must be taken so as to eliminate this skin problem once and for all. Acne treatment can be done right at home using some natural, raw, organic materials that are completely safe for the skin. Acne is caused as a result of bacterial infection. So, we need something to fight this acne-causing bacteria and at the same time, soothe the skin. Popular home remedies include cucumber for soothing and hydrating the skin, turmeric to fight bacteria and honey to moisturize and nourish the skin. 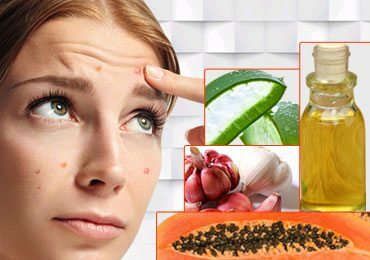 Why Is It Important To Fight Acne? As mentioned earlier, acne and pimples are normal to appear in teenagers and girls in their 20s as a result of hormonal changes and improper diets. However, sometimes acne form up to be a permanent problem and does not go away with the age. This is when some measures need to be taken. It is important to treat acne in time because prolonged acne exposure can cause skin problems such as inflammation, irritation, permanent marks on the skin and other skin infections. The acne marks are clearly visible on the skin and they make the skin look ugly and in-definitive. These can also scar the face of a lifetime so that you can say goodbye to a clear, supple and a beautiful skin. Not the only acne, they often also result in further skin problems such as blackheads which become more difficult to clean. These clogged pores need to be treated as soon as possible to rid of them while there is time. There are a number of organic materials which are capable of fighting the bacteria that causes acne. Some of the best homemade face mask for acne scars have been mentioned as follows. Honey is without a doubt the best ever natural organic material made by nature. It’s anti-bacterial and soothing properties make it a quick fix remedy for skin, sore throat, hair, and whatnot. When it comes to acne, it the best element that fights the bacteria that causes the acne and at the same time, soothes and moisturizes the skin. However, you must keep in mind to use only the raw honey for making this face mask. Take a clean bowl and crush 2 aspirin tablets so that they are now in powdered form. Add some water so that the tablets get dissolved completely. Now to this mixture, add about 1 tsp of honey and mix it well to form a thick paste. Apply this paste on the affected area. Make sure to completely cover the acne areas. Let it sit on the skin for the mentioned period of time. After about 15 minutes, wash the face mask off with the help of warm water. This face mask should be used only once a week. As mentioned earlier, honey is one of the best choices when treating acne. Avocados, on the other hand, are just as much effect, especially for sensitive skin. 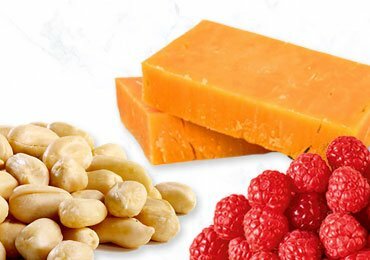 They are packed with essential vitamins that are capable of dealing with acne and acne scars. 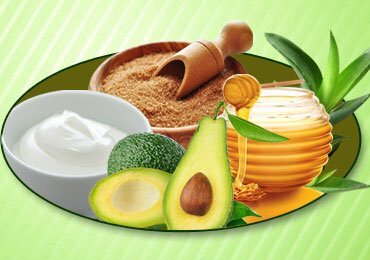 A combination of honey and avocado forms up to be a perfect homemade face mask for acne scars. 3 tsp of avocado mash. Take a spoon and scrape the inside of an avocado into a bowl. Mash it nicely to get rid of any lumps. Now add ½ tsp of honey to this mash and mix it up properly to form a thick paste. Apply this paste on all the areas prone to acne and acne scars. Use your fingers to gently apply it all over the acne marks and the complete face too. Leave it on the skin for the mentioned period of time. After about 15-20 minutes, wash off the face mask gently with the help of lukewarm water and moisturize lightly. Cucumber is definitely one of the skin’s best friends. They have a cooling effect on the skin after they soothe and hydrate the skin for good. Yogurt is another best pick when treating acne since it has a moisturizing and softening effect on the skin. A mixture of these two will result in an amazing face mask for treating acne. ½ a cup of plain yogurt. 1 tsp of raw milk. Wash a medium sized cucumber nicely and peel the skin off. Cut the cucumber into small cubes into a blender. Now add half a cup of plain yogurt and 1 tsp of raw milk into the blender. Close the lid and blend this mixture to form a fine paste-like consistency. Now apply this mixture on your face using your fingers gently. Leave it on for the mentioned period of time. After 15 minutes, wash the paste off with the help of lukewarm water. Pat dry your skin and moisturize if needed. Turmeric is not only a cooking ingredient but a powerful and effective beauty fix as well. It works as an antiseptic for the skin and even as a natural skin lightener. Raw turmeric powder, when coupled with raw honey, can do wonders for the skin and also the acne. Turmeric will fight the acne causing bacteria and honey will moisturize and soothe the skin. 4 tsp of turmeric powder. 4 tsp of raw honey. Take a clean bowl and add 4 tsp of turmeric powder into it. Now add 4 tsp of raw honey into this bowl followed by 1 tsp of raw milk. Mix all these ingredients to form a thick paste. Now apply this paste on the complete face using gentle fingers. Be sure to cover all the acne prone areas. After about 20 minutes, wash the face mask off with the help of lukewarm water. Pat the face dry with the help of a soft towel and moisturize if necessary. Cinnamon is one of the best picks when treating acne. It is known to deal with inflammation and is helpful in drying up infected pores, hence reducing acne and acne scars. 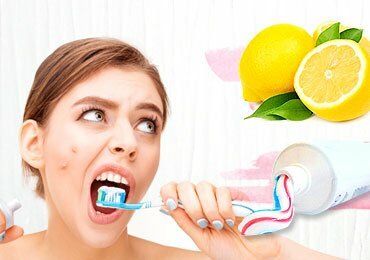 Coupled with the goodness of honey and lemon juice, you will get one of the best DIY face masks for acne which is unbelievably simple too. 1 tsp of cinnamon powder. 2 tsp of raw honey. Take a clean bowl and add 1 tsp of cinnamon powder into it. Now add 2 tsp of raw honey into this bowl followed by 1 tsp of lemon juice. Mix these ingredients thoroughly to form a thick paste-like consistency. Apply this mixture on the acne-prone skin with the help of soft fingers. After about 20 minutes, wash the face mask off with the help of lukewarm water. Pat the skin dry with the help of a soft towel and moisturize if needed. 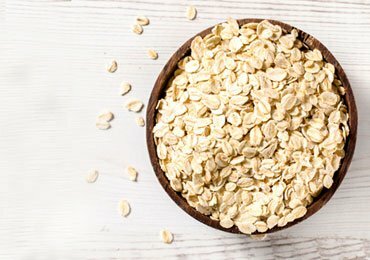 Oatmeal is another great natural and raw material for treating acne and acne scars. It has excellent exfoliating properties. The mixture of honey and oatmeal help in removing dead skin cells and removing excess oil from the skin. It also gets rid of inflammation and soothes the skin. This is also one of the best homemade face masks for acne and acne scars treatment. ½ cup of dry oats. 1 tsp of chopped almonds. Take a bowl and add half a cup of dry oats into it. Now add 1 tsp of chopped almonds and 1 tsp of honey into this. Mix well to form a paste-like consistency. Apply this mixture to the acne affected areas with the help of gentle fingers. After 20 minutes, wash the face pack off with the help of lukewarm water. Pat your skin dry with the help of a soft towel and moisturize if necessary. 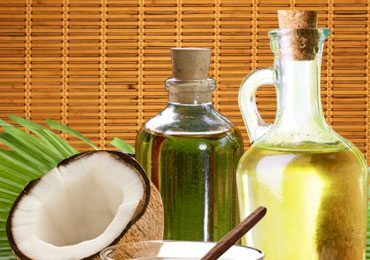 Coconut is an excellent natural ingredient for moisturizing dry skin. When coupled with turmeric and lemon juice, it does the trick to get rid of acne and acne scars. For a dry skin type, it will fight the acne causing bacteria and moisturize the skin at the same time, giving it the complete replenishment it needs. ½ tsp of turmeric powder. 1 tsp of coconut oil. Take a bowl and add ½ tsp of turmeric powder into it. Now pour in 1 tsp of coconut oil followed by 1 tsp of lemon juice. Mix all the ingredients nicely to form a thick paste. Apply this paste on the acne prone areas with the help of soft fingers. After about 30 minutes, wash the face mask off with the help of lukewarm water. Pat your skin dry and moisturize using a light moisturizer. Charcoal is one of the best picks for face masks when it comes to treating acne and blackheads. When you want to make a homemade face mask for acne and blackheads all at once, this is the best option to go with. 1 tsp of activated charcoal (powdered form). Take a bowl and put 1 tsp of activated charcoal into it. You can use the charcoal tablets and crush them open to use the powdered form. Now add a few drops of cumin seed oil to the charcoal. Add some drops of lavender oil too and mix it well to form a simple paste. Apply this paste to your skin, covering all the acne and acne scars. When the face mask has completely dried, rinse it off with the help of some lukewarm water. Pat your skin dry and moisturize as needed. These were some of the best picks for DIY face masks for acne treatment at home. You can make them up in absolutely no time. Try these on today to get rid of all the ugly acne scars and say hello to a clear and beautiful skin. Read Next: 3 Amazing Homemade Masks to Treat Acne! Let’s Learn How To Use Toothpaste On Pimples And Acne! 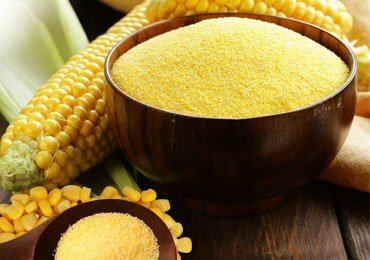 Unbelievable Health Benefits of Cornmeal! Vitamin H – Reasons Why Your Body Needs It! 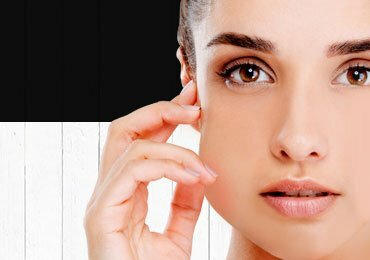 Unique Methods To Get Rid Of Painful Mumps!